Hi, everyone! 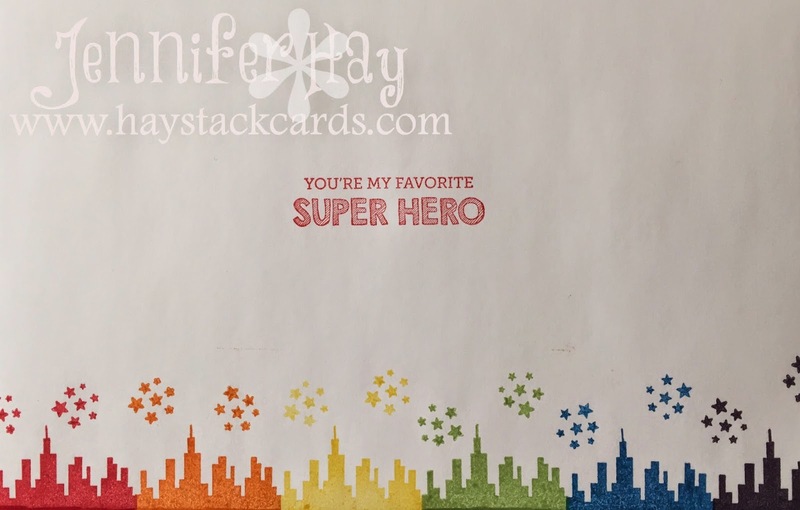 Today I have another card to share that I made couple of weeks ago for a friend who is battling cancer using the Super Duo and Tiny Heroes sets from Mama Elephant and Simon Says Stamp. I just love the big red satin bow and the CAS design of this card. I also stamped the coordinating envelope in a rainbow of colors.